The queasy image of a woman’s blond hair caught in a bed of nails greets you at the entrance of Polygraphs. 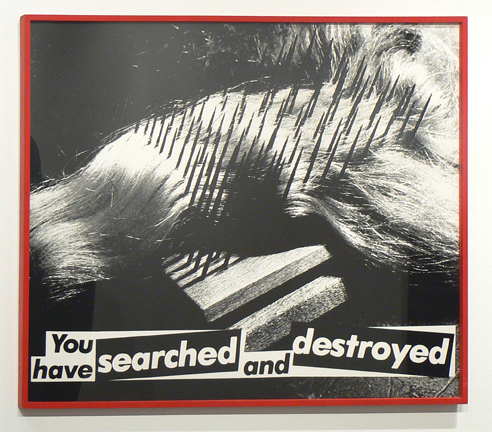 It is Barbara Kruger’s Untitled (You have searched and destroyed), 1981. The accusation inherent in this classic work announces the theme of Polygraphs, an exhibition built around GoMA’s recent acquisition of Abstract, 2012 a two-channel video work by Hito Steyerl. This is the first work by Steyerl to enter a UK collection and was presented to the museum by the Contemporary Art Society through the Collections Fund in 2015. Abstract is used to activate a group of works in their collection dating back to the First World War, and the seventeen artists in Polygraphs explore truth, fiction and evidence in a complex world. A polygraph is, of course, a lie-detector machine that measures physical symptoms, such as variations in blood pressure, to determine if a person is telling the truth. In a ‘post-truth’ age a good narrative defeats the facts any day, but this exhibition is a timely reminder that ‘twas ever thus, and little is new but the technology. At heart, most artists are seeking some kind of truth and part of the acknowledged role of the artist is to reflect society and to witness and document its horrors. The artists here expose the webs of economic relationships that link government and culture to the evil trade in slaves or arms. In Abstract Steyerl visits the site where her childhood friend, the activist and revolutionary Andrea Wolf, was killed fighting with the PKK in Eastern Turkey in 1998. A Kurdish guide recounts the facts of Wolf’s death and Steyerl collects metal shell casings from the site as evidence. Steyerl traces the casings back to the office of Lockheed Martin in Berlin, the largest arms manufacturer in the world and seller of weapons to Turkey through the German government. The artist stands calmly outside their office filming it with her phone, the kind of behaviour that security guards are trained to cut short. Her back is to the Brandenburg Gate, an edifice freighted with significance as both a symbol of Germany’s turbulent past and more recently, of peace in Europe. 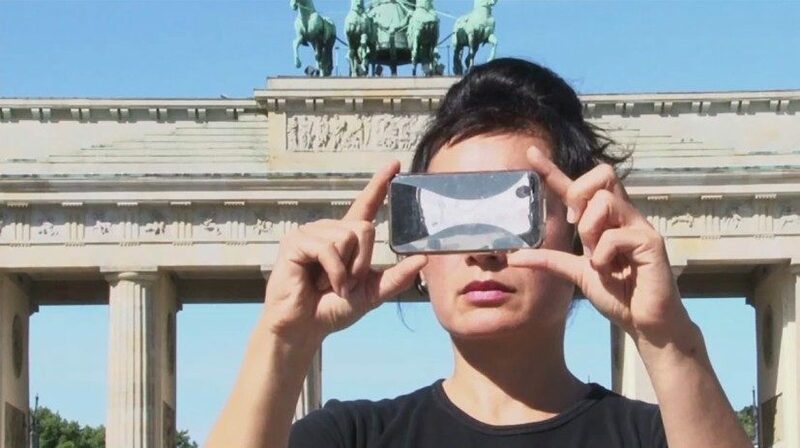 As witness for the prosecution, Steyerl holds her phone in front of her face so it covers her eyes. 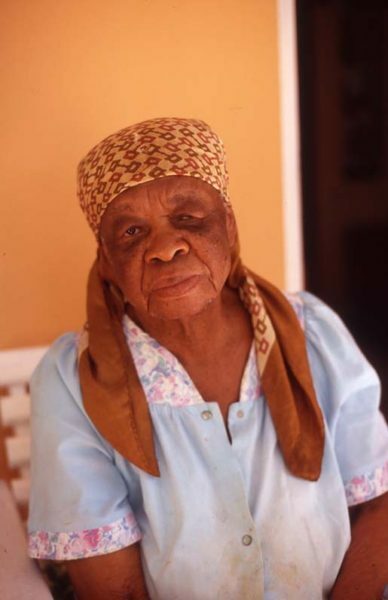 It is at once a mask and a prosthesis, replacing her eyes with a camera lens or playback screen. She is a portal, at once surveilling the office and playing the footage of her visit to the site of Wolf’s death. In a series of signposted ‘shots’ and ‘countershots’ Abstract switches between Berlin and the Turkish mountains, creating a real time collage of the two sites. The earliest work in the exhibition is Tanks, 1918 by Muirhead Bone. He was the first official War Artist sent to the front by the War Propaganda Bureau in 1916. The following year saw the introduction of tanks, a new technology developed in response to deadlock in the trenches. In Bone’s black and white photogravure the tank looms up filling the frame like something from a science fiction novel. It is inhuman, awe-inspiring and terrifying. A short time later, in January 1919, such tanks would be used to suppress protestors seeking better working conditions in Glasgow’s George Square, a stone’s throw from GoMA. 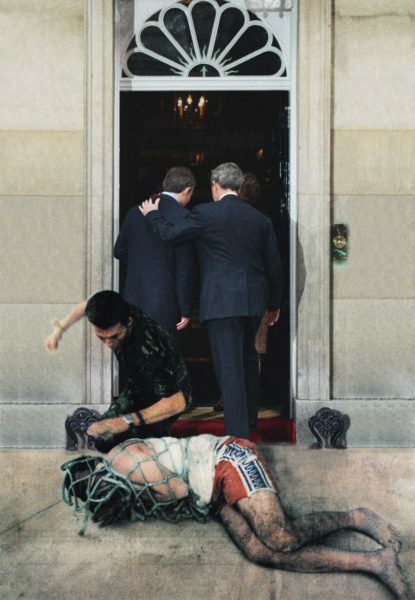 Other exhibited works respond to the local context, such as Anthony Schrag’s project Legacy, 2007 which instigated a conversation around Glasgow’s notorious sectarianism. Meanwhile Jane Evelyn Atwood’s Five Works from the Great Eastern Hotel Series, 1994 are compassionate black and white portraits of vulnerable long-term residents in a hostel for the homeless in the city’s East End. 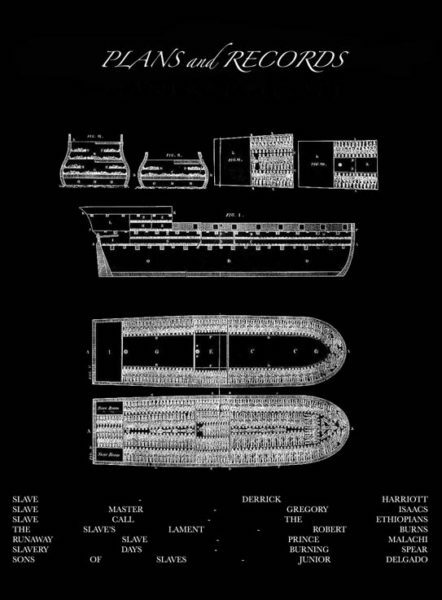 Graham Fagen’s screen prints Nancy, Bell and Roselle, 2006 shows how exploitation riddles our cultural history. 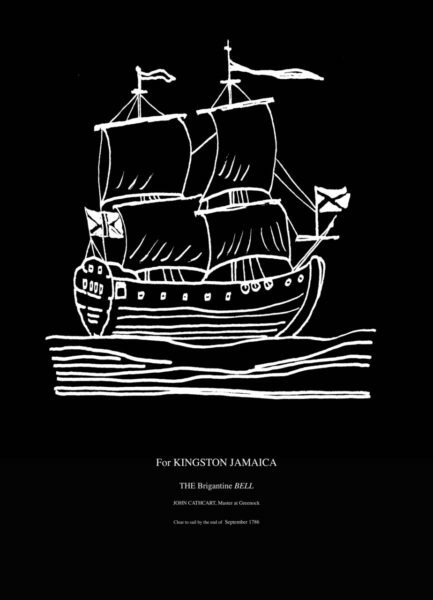 Scotland’s national poet Robert Burns would have been working as a bookkeeper in a slave plantation producing sugar in Jamaica, had his first book of poetry not been a success. 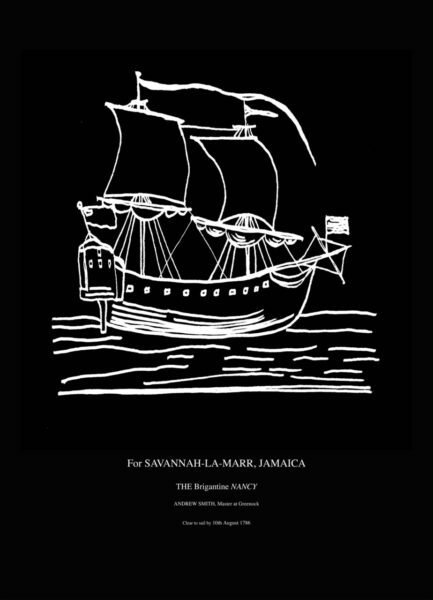 The prints are archival newspaper images of the three shops Burns had booked passages to the West Indies on, before cancelling his trip in 1786. Kerb Study with Metal Edge (Glasgow), 1985 by the enigmatic Boyle Family introduces a dose of physical reality into Polygraphs. Or does it? The group, who call themselves contemporary archaeologists, reconstruct sections of ground, chosen at random by throwing a wooden frame, on a one-to-one scale. They combine material from the site with resin to recreate the location. Their fascinating practice is devoted to the creation of truth through artificial means. By presenting the sections of the earth’s surface they recreate on the wall, like a painting, they are trolling the very notion of a work of art. Polygraphs seeks to pose questions about the relationship of museums to the histories, identities and politics that they reflect. 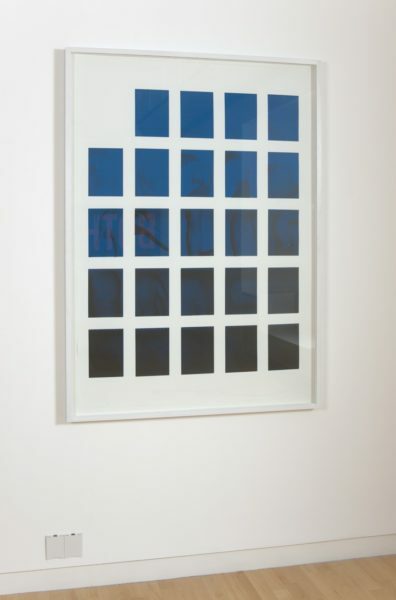 By displaying older works alongside the more recent the exhibition interrogates dominant historical narratives still prevalent today and invites the audience to make new connections for themselves.